The mid-Atlantic is a beautiful region of the country, which allows us to have plenty of opportunities for outside living and entertainment. Many homeowners and businesses are adding hardscapes that become a main social gathering location, rivaled only by the kitchen. 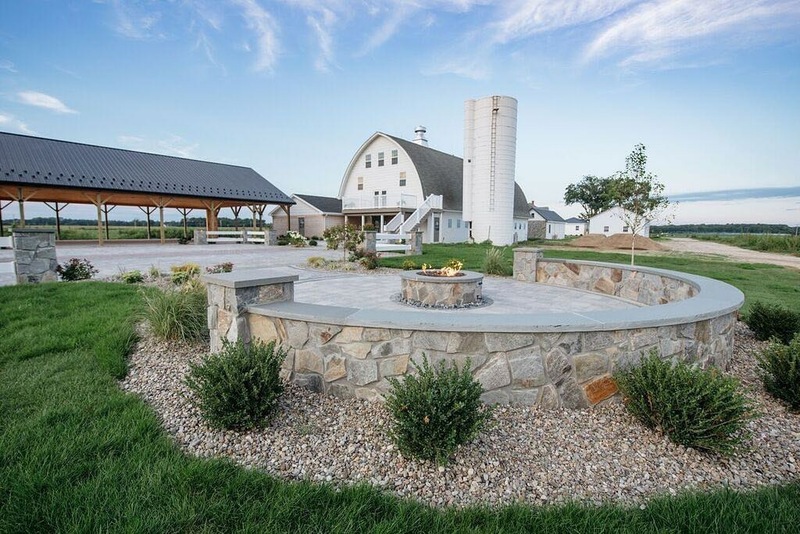 Outdoor fireplaces and patios are a must-have in our region. We can enjoy outdoor weather all year round! The companies below have many options to contemplate as you are bringing your project to life. We invite you to look at their photo galleries and piece together what you like from pictures. We can offer guidance and order you’re the right products to get the end result you are looking for. If you are a DIYer or a contractor located on the Eastern Shore in MD or in Cape Charles, VA; Salisbury Brick Co. can work with you to supply your hardscape material needs. Call us today or stop by to see our beautiful outdoor displays.